The landscapes in Edvard Munch’s work have long been understood to reflect his psychological and emotional states, a correlation that remained consistent even as his style changed over the course of his career. One frequently recurring motif in Munch’s life and art is the sea, both coastal settings and the many fjords carved in the Norwegian landscape. 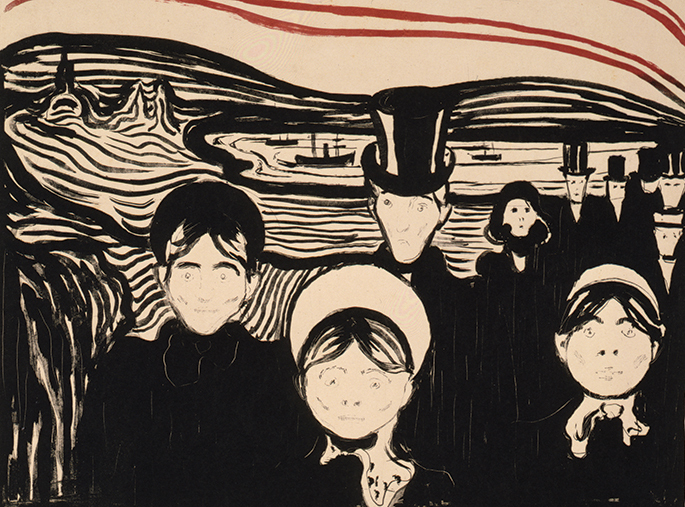 Image credits in order of appearance above: Edvard Munch (1863-1944), Angst (detail), 1896. Color lithograph, 16½ × 15⅛ inches. Epstein Family Collection, EFC 061.0. Photo by Philip Charles. © 2016 Artists Rights Society (ARS), New York. 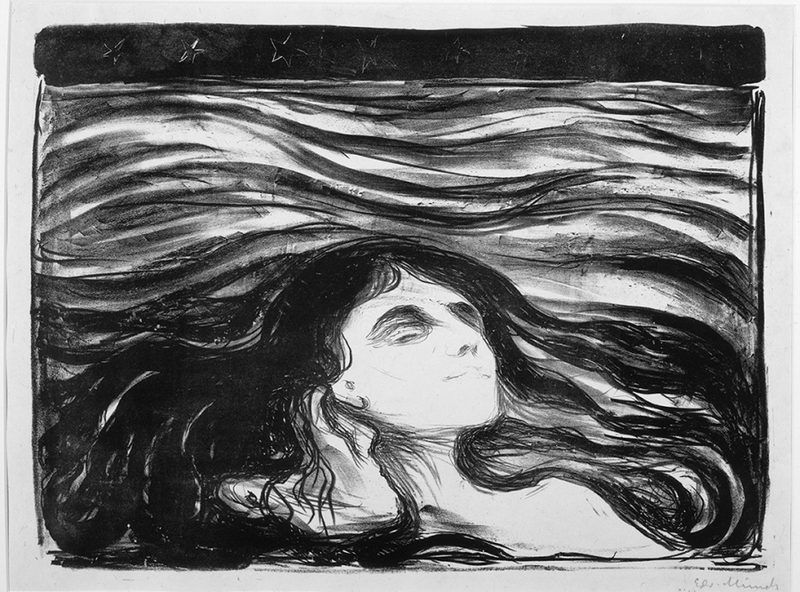 Edvard Munch (1863-1944), On the Waves of Love, 1896. Lithograph, 12¼ × 16½ inches. Epstein Family Collection, EFC 073.0. Photo by Mark Gulezian. © 2016 Artists Rights Society (ARS), New York.